Sublette.com is a sister site to Pinedale Online. It is created and maintained by Wind River Web Services through Office Outlet in Pinedale. Our intent is to provide a site for the county residents and other people interested in information about Sublette County. If you have information about an event, a community or special interest you would like to see on Sublette.com, please call us at Office Outlet 307-367-6763 or e-mail us at info@sublette.com. Pinedale's celebrated its 100th Birthday in September, 2004. The community sponsored several events for the weekend. A photo exhibit is online, "Early Pinedale History" featuring 150 black & white photos. Click here to view the website. On January 24, 2002, St. Hubert the Hunter Church in Bondurant was enrolled in the National Register of Historic Places. This the Federal government's official list of historic places worthy of preservation. The Sublette County Historic Preservation Board was notified of the listing this week. This national listing recognizes the historical importance of the church. Visit Sublette County Historic Buildings to read the story of how this Episcopal church came to be. During the 1930's and 1940's the CCC Enrollees lived and worked in Sublette County. Evidence of their impact here can still be seen in the projects they built that are still in use today. Visit the new CCC in Sublette County page.This is Ann Noble's presentation about the CCC Camps and the enrollees and the part they have played in our county's history. Included are many photographs from private citizens' and the Museum of the Mountain Man's collections. This Pinedale Roundup Index compiled by Judi Myers, is now available online. Over the course of 20 years Judi has worked to complete this index for the Pinedale Roundup, Sublette County's newspaper. Due to Judi's generosity the entire index from 1904-1999 can be downloaded for free. The online index allows you to search for information yearly, monthly and by subject. The actual articles can be found at the Sublette County Library in Pinedale and the Wyoming State Museum in Cheyenne. The contact information for these institutions is on the Pinedale Roundup Index site. They have early issues of the Pinedale Roundup on microfilm and the later hard bound issues. The index is being hosted and maintained by Wind River Web Services on this site www.sublette.com. CD-ROMs for the entire index can also be purchased for $10/each at Office Outlet in Big Piney and Pinedale, Wyoming. The 4 original printed volumes: Vol. I: The First 25 Years, 1904 -1929, Vol. II: 1930-1954 and Smoke Signals, 1952-1954, Vol. III: 1955-1979, and Vol: IV: 1980-1999 can also be purchased at Office Outlet for $12/each. Judi compiled this index to help aid historical and family researchers. Please refer to the Pinedale Roundup Index site for the credit and copyright notice information. Sublette County located in Western Wyoming has a total of 5,920 residents. Most of these citizens like to boast that there is not one single stop light in the whole entire county. 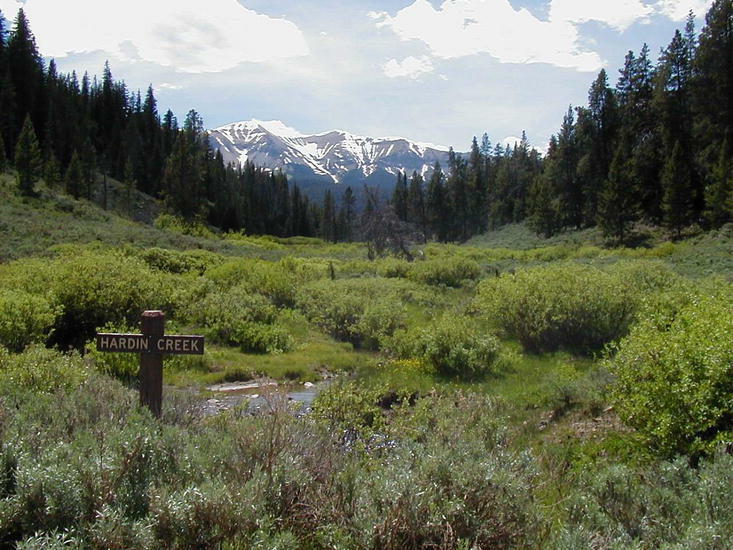 Sublette County is bordered by three mountain ranges, the Wind Rivers, the Wyoming Range and the Gros Ventre, making it a great destination for hunting, fishing, hiking, snowmobiling and many other outdoor recreational activities. Originally cattle ranching was the main industry, now oil and gas drilling and tourism are very important factors in the livelihood of this area. Historically this area is noted for its important role in the fur trade era of the early 1800's. The confluence of the Green River and Horse Creek located in the heart of the county is where six rendezvous were held. 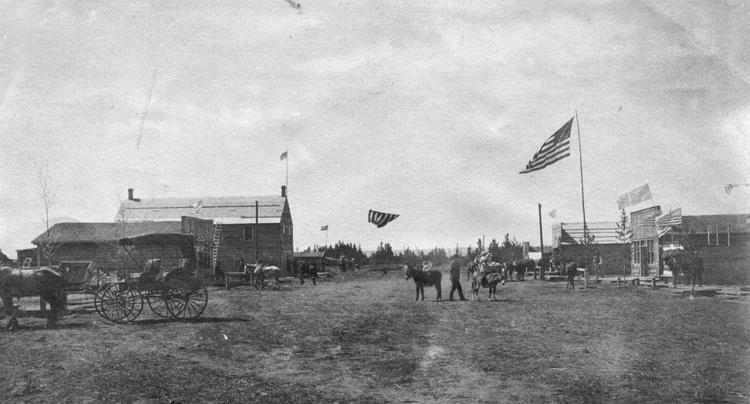 Rendezvous was a time of trading and socializing for the mountain men, trappers and Indians of that time. In Pinedale, the Museum of the Mountain Man has been dedicated to preserving and teaching about how important these historical events were to our area and also how they influenced the rest of the world at that time. Sublette County is a place that time hasn't changed all that much and its people are still strongly connected to their pioneer roots. Sublette.com is a non-commercial community website designed and maintained by Wind River Web Services, a part of Pinedale Online in Pinedale, Wyoming. If you are looking for the Sublette County government website, please see www.SubletteWyo.com. Historical photos are generally the property of the Sublette County Historical Society and permission must be obtained before using these old images. 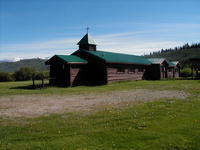 Contact them at the Museum of the Mountain Man in Pinedale, 307-367-4101, www.museumofthemountainman.com. Photos by Sublette.com unless otherwise credited. Sublette.com is a web site designed to provide general visitor information about Sublette County in Western Wyoming. We make every effort to ensure the accuracy of the content of this site, however this is a non-commercial website that is maintained on a very irregular basis and errors or old information may occur. Please contact us for more information or if you find any broken links on our site. We welcome your comments and suggestions about the content on this web site, 307-360-7689, Pinedale Online! Copyright 2001-2009. All rights reserved. Thank you for visiting us at Sublette.com!